Tribeca Public Relations (Tribeca) has promoted Lerato Mokoena to account executive after she successfully completed the agency’s comprehensive internship programme. The six-month programme included full-time, on-the-job training with a consultant team, combined with SETA-accredited NQF Level 5 training that covered leadership and emotional intelligence in the workplace. 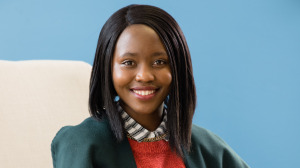 "Lerato excelled in her role as an intern, proving her commitment to mastering the skills outlined in the internship programme, becoming an integral team member involved in client servicing, event assistance, and participating in new business pitches," says Davina Malan, business unit director at Tribeca. Mokoena obtained knowledge by working across a variety of clients, having worked on accounts such as Accelerate Property Fund, Taxify, Epson and Logitech. "She is infectiously enthusiastic and demonstrated an eagerness to learn. We are excited to have Lerato on our team, and we look forward to helping her grow and progress in her PR career at Tribeca," concludes Malan. Mokoena holds a diploma in media practice and public relations from Boston Media House. For more information, visit www.tribecapr.co.za. You can also follow Tribeca on Facebook or on Twitter.